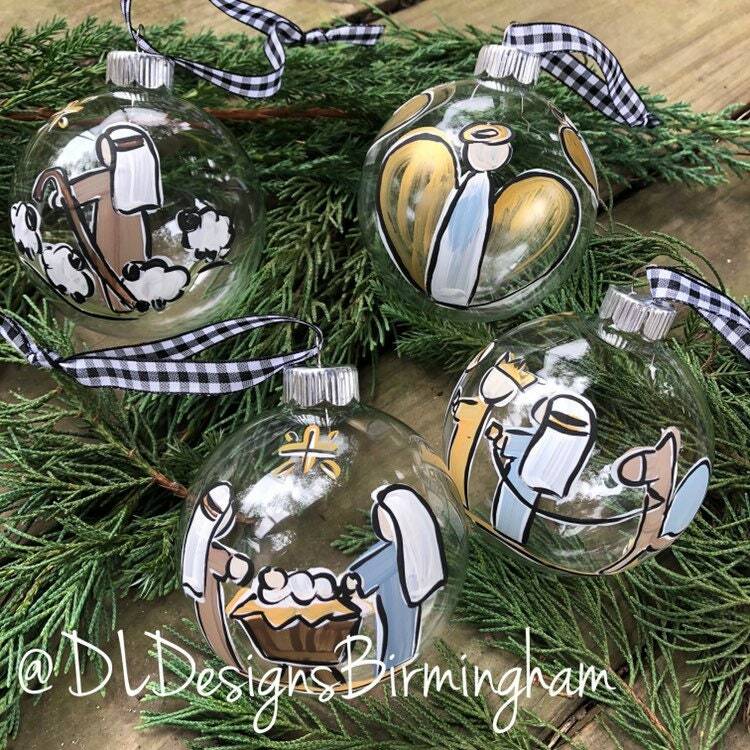 Simple and elegant nativity ornament set. All painting is done by hand. 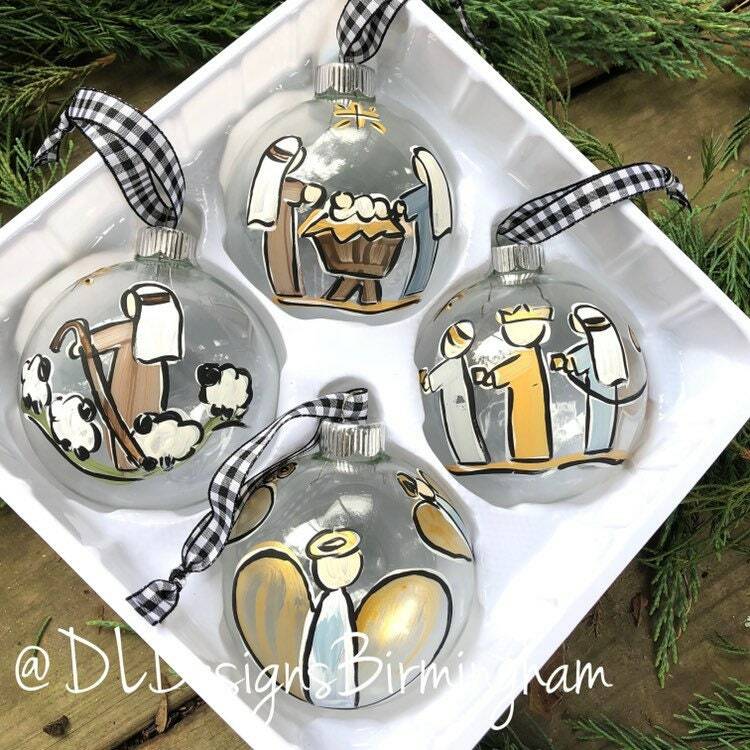 These sets make great and unique gifts! 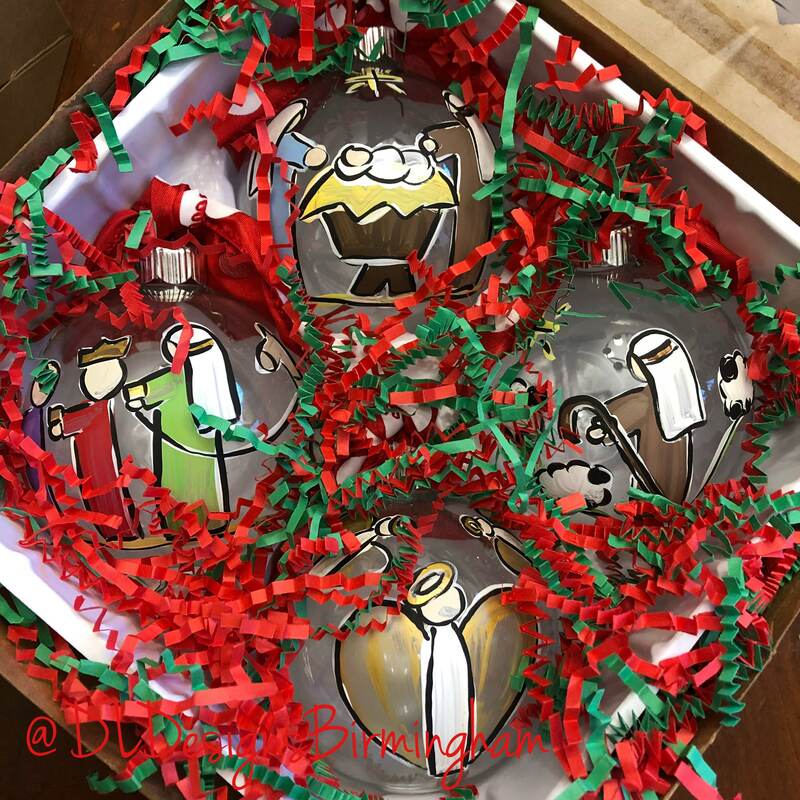 **packaged in a clear top box and ready to give! 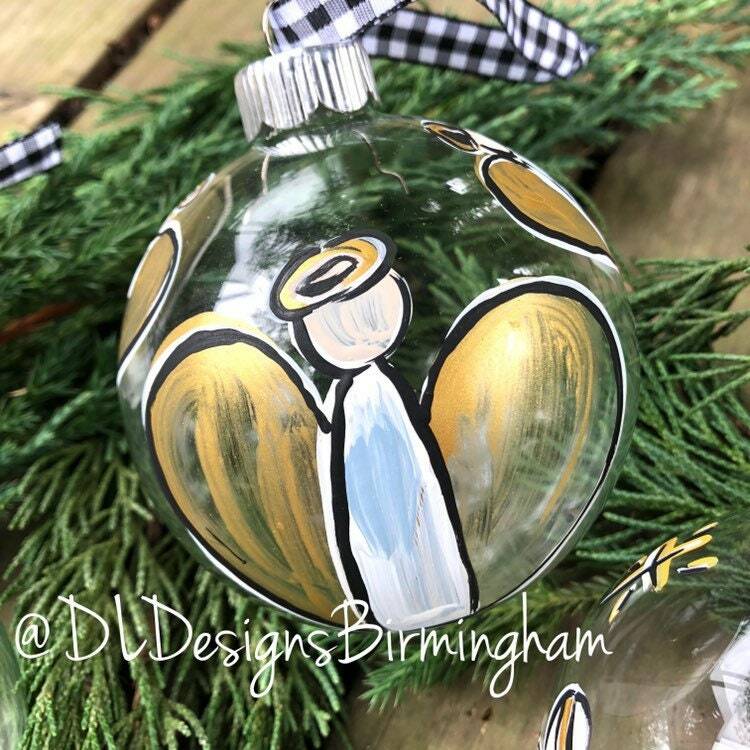 Check out my shop for other colors available. Turnaround is about 1 week. Message me if you need it sooner as I sometimes have 1 in stock or can work with you on getting one painted sooner. I couldn't wait to review! Amazing all around! I ordered a few items, they shipped the next day, tracking on UPS wasn't moving so I contacted the seller. 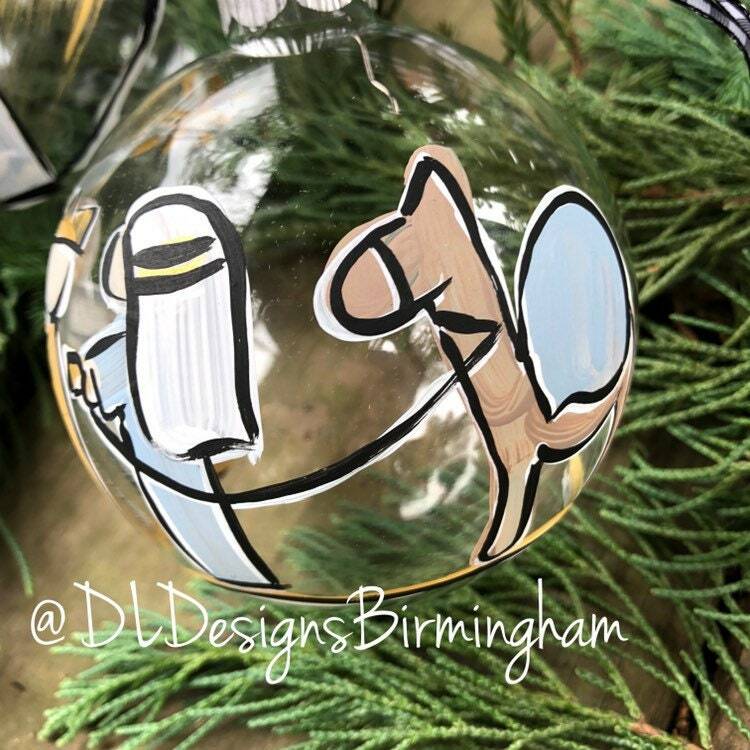 She was going to check with UPS but was going to send out a new order anyway, she told me if the first package came to just pass it forward and gift to someone I thought would love to have it. 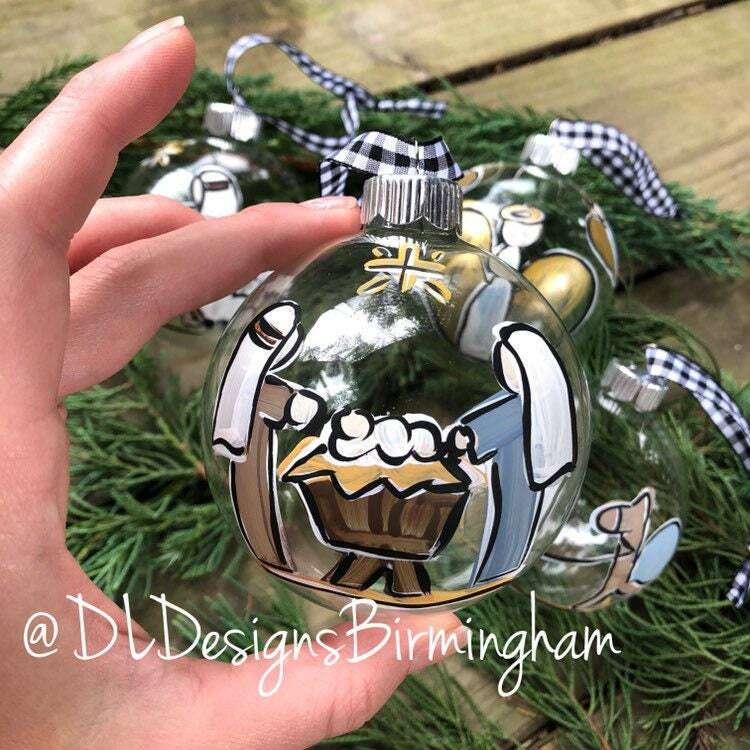 My order was not just 1 Christmas ball! 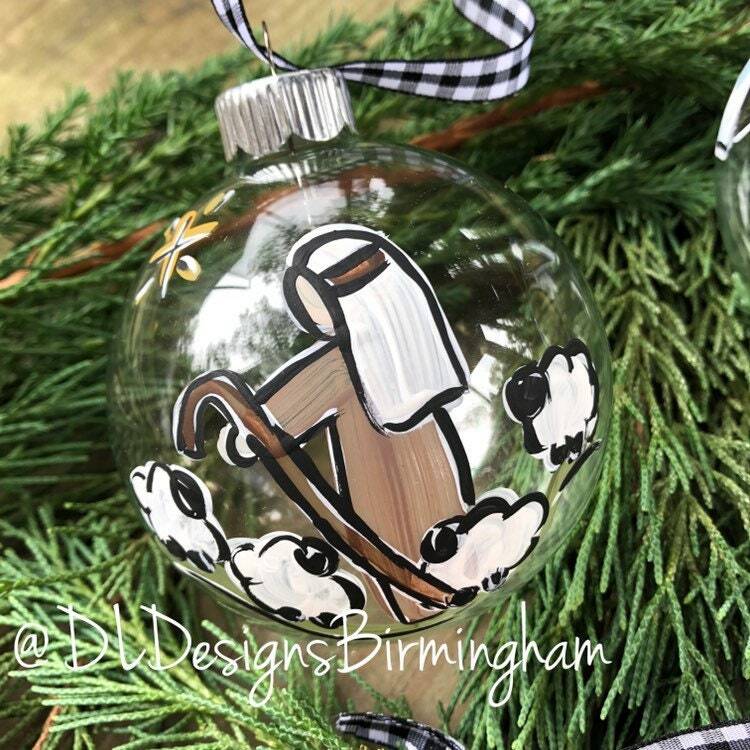 Not only are my Christmas balls amazing I would buy from her again and will recommend her to everyone.